Online furniture retailer Furniture123 offers a wide range of children’s furniture that will bring a smile to even the sulkiest of small faces. From bright, stimulating patterns through to child size versions of grown up designs, there is something to suit every young taste and all styles of décor. Homework is a fact of life for today’s young scholars but that doesn’t mean their bedroom has to look like a library. 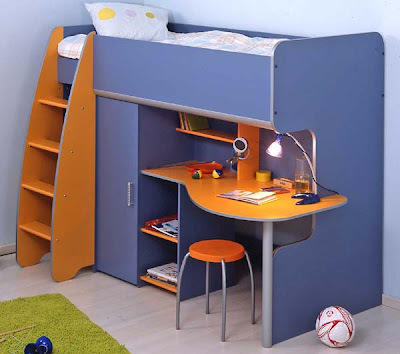 The fun Astro Highsleeper Bed has a built in desk for those necessary assignments as well as space-saving, built in storage. The whole thing is finished in cheery mandarin and blue and looks anything but boring. Handmade in the UK to the same exacting standards as adult furniture the Milan Armchair features wipe clean, faux leather upholstery making it practical as well as stylish. 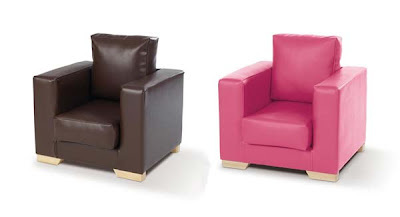 It is available in a range of bright colours as well as neutral ‘grown up’ shades, which are perfect for giving a child their own ‘special’ seat in the living room. A matching sofa and footstool are also available. 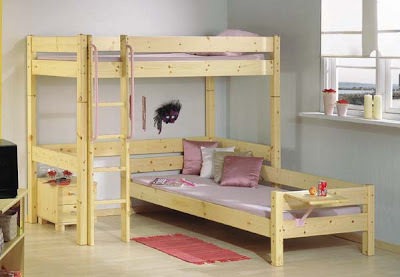 Buying for older children can be awkward, so Furniture123 offers a range of beds designed to update their room to something more befitting a young adult. The Thuka Maxi 28 Highsleeper Bed is great for sociable teens thanks to its accompanying sofa bed, which can be placed under the bed or moved elsewhere next time they decide to ‘rearrange’ their room. The solid pine has a clear lacquer finish for a neutral look and a range of accessories and matching furniture is also available.